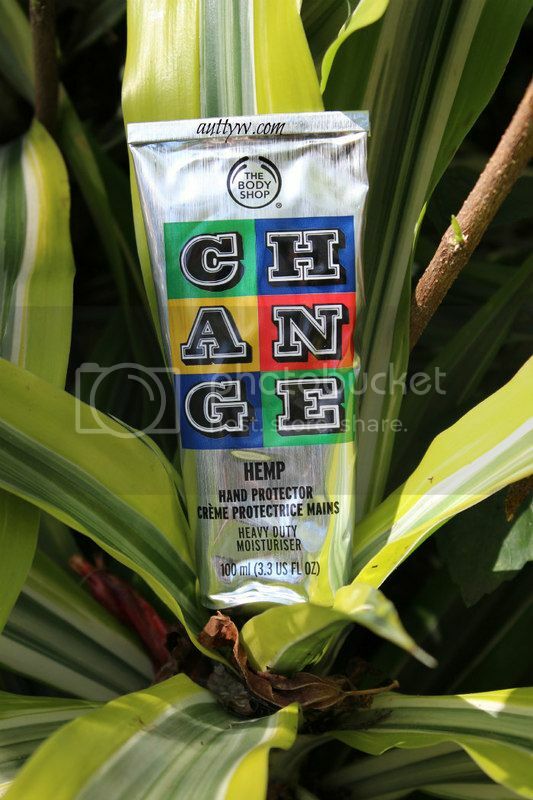 The Body Shop recently released a Limited Edition version of their Hemp Hand Protector last month. I feel absolutely honored to have been able to try the Hand Protector for the very first time, as well as tell you about what they're doing with it! The Body Shop's Limited Edition Hemp Hand Protector is a part of their new Commitment to Enrich Not Exploit™. The hand cream also supports The Body Shop Foundation in helping to increase awareness around the negative changes happening to our planet and to create positive change. Every Limited Edition Hemp Hand Protector purchased, $2.20 will be donated to The Body Shop Foundation. This donation will be supporting our global target to protect and enrich our planet, our people and animals, and our oceans. What cool is that each purchase of 1 Hand Cream = 1 Vote = $2.20 Donation. After completing your purchase of the Limited Edition Hemp Hand Protector, you will be prompted online to vote for the cause that's closest to your heart. Choose from donating to our planet, our people & animals, or our oceans! I absolutely love that when you purchase the LE Hand Protector, YOU get to chose where your $2.20 donation goes too. I've tried hand lotions before that were supposed to be heavy duty and that were supposed to help dry skin and make them feel more moisturized. I was never impressed with them because they were either extremely greasy, or they just didn't actually moisturize anything. That's the biggest issue I have with hand creams is that they aren't moisturizing enough for my hands. I don't have super dry hands, but they are dry enough that I need a hand cream! Not only just that, but I have Chris help me out when testing hand creams out, and you know darn well I made him try this one out! At first, he didn't think it was actually working, but I told him that he needed to give it a couple of minutes to actually sink into his skin. This wasn't some magical stuff that you rubbed in and was gone. To his surprise, I was right. Shocking, I know. He actually really enjoyed using this and loved that fact that his hands didn't feel rough, dry and just unpleasant. So, this has a big thumbs up from the Husband! When I first recieved this in the mail, my parents gave me a weird look and asked why I wanted anything with Hemp in it. I had to explain to them that hemp is non-psychotic and you can't actually get high from using this hand cream. The product is enriched with Community Trade hemp seed oil, and contains about 950 hemp seeds into every tube of Hand Protector. It's extremely moisturizing as well as it restores the suppleness back into my hands. I also like to use this on my elbows, I know it's made for hands, but my elbows are insanely dry to the point it's painful and this just helps them feel dang amazing! You know when there is a scent, and it is a familiar one but you just can't seem to place it? That is the issue I am having with this! I've not tried many hemp products in the past, I've had a hemp bracelet, but that is basically the extend of my hemp foray. I do have to say that I love the scent of this, it's very earthy. No, it doesn't smell like you know what, but I just can't find a good way to explain the scent. I do like that it is not over powering. Yes, it does linger a bit, but it fades. I do think that there is a stigma to hemp products, because people just assume it with it's smokeable version, and that's sad. My parents instantly thought what most people think about hemp and didn't think/know that it was actually good for your skin and a very useful plant. 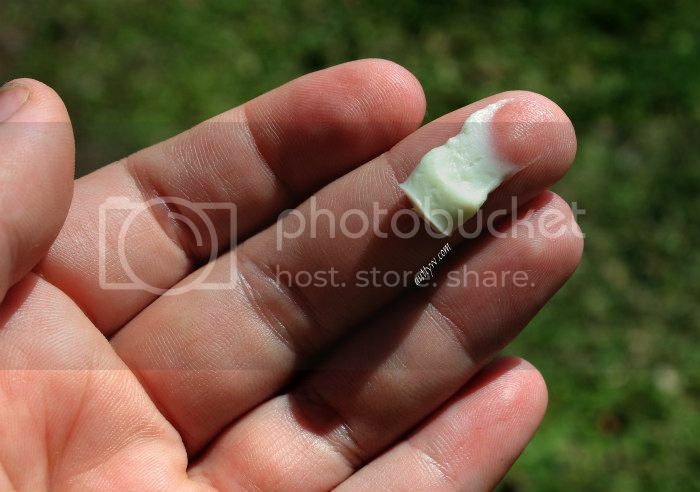 I've realized lately that I have been needing a heavier moisturizer for my hands, simply the weather here in Florida has been crazy. It's driving my skin up a wall because it doesn't know what to do! One minute it's 80F+ and the next it is like 40F+. I love that this product is thick, as you can tell in the above picture. It feels so lovely on the skin and it definitely is NOT greasy at all, which we all know is fantastic. Who wants greasy hands? No one, that is who. My hands always feel very soft after using this and I have definitely been able to see a difference in them from what they looked like with my previous hand cream. I still love it, but I think that's more for summer and until the weather figures out what it exactly is going to do, I will use the Hemp Hand Protector. I definitely suggest heading over to thebodyshop-usa.com and picking up a tube of this for yourself!